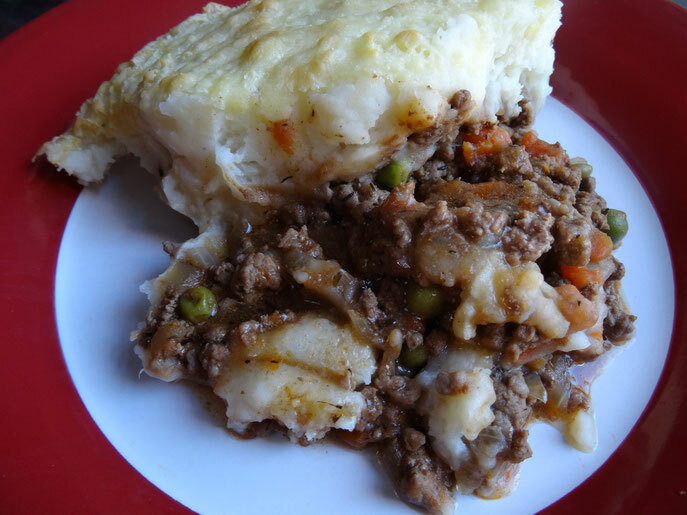 A classic family favourite, wholesome, comforting & my Dad Chris's favourite!! 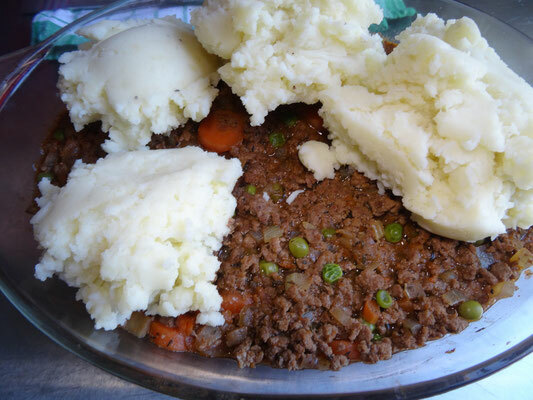 Allowing both parts to cool before assembling the pie is important otherwise the mash will just sink into the mince & make a mess! Cook the potatoes in a large pan of boiling salted water, drain then mash with a little milk & butter. Set aside to cool. 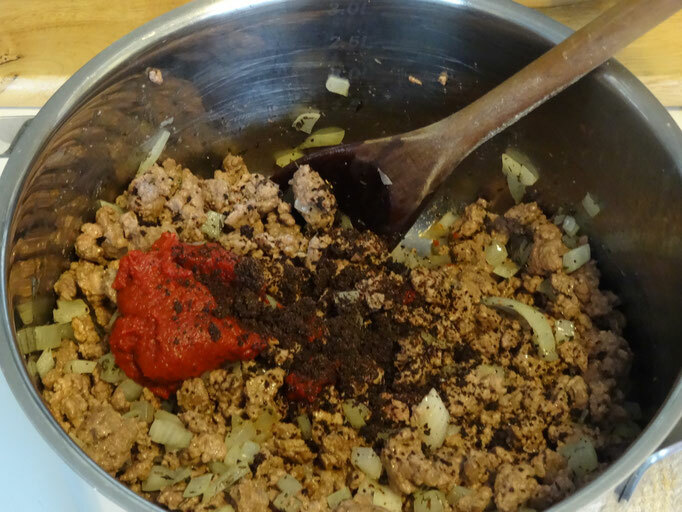 Place a large frying pan over a medium heat & brown the mince in batches. Set aside. 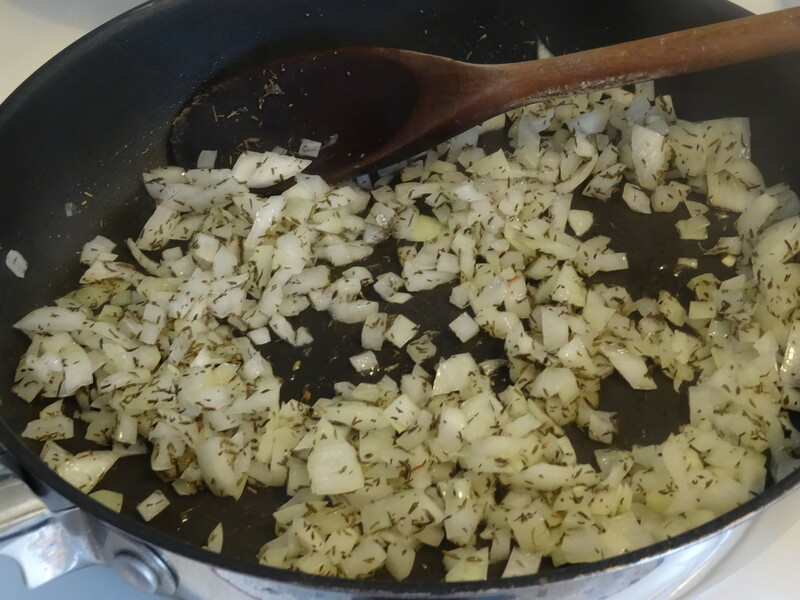 Add about 1 tbsp of oil to the frying pan & cook the onion for 2-3 minutes before adding the dried thyme. 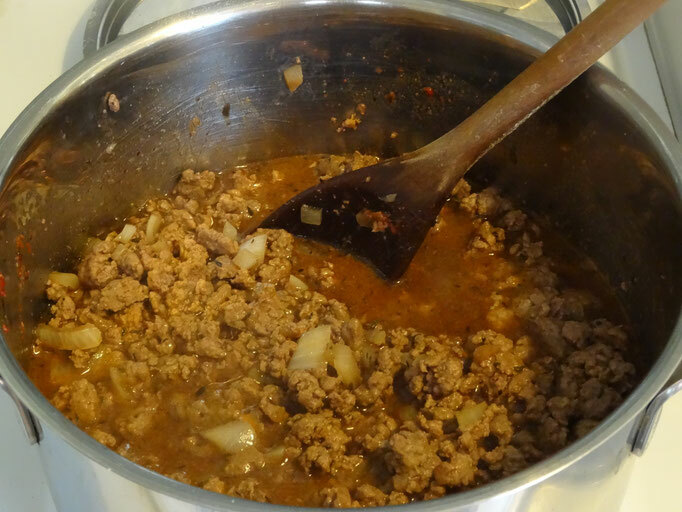 Place the mince & onion into a large saucepan off the heat. Add the tomato puree, worcestershire sauce & crumble over the stock cube. Season with salt & pepper & stir. Put the pan on a low to medium heat & add the stock stir again then simmer for 15 minutes. 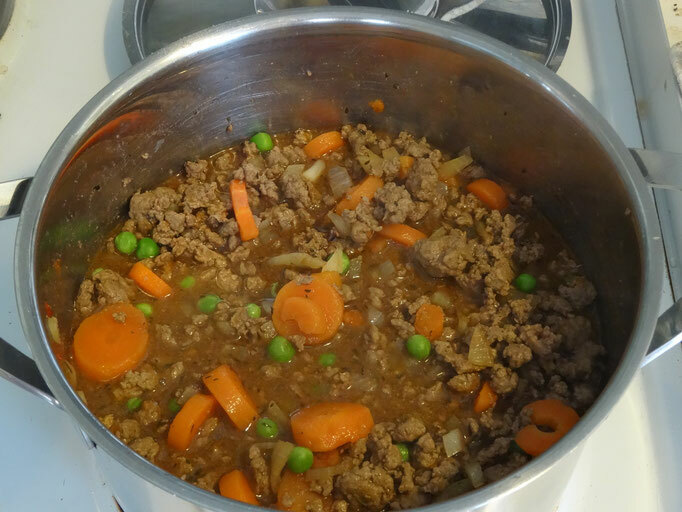 Add the carrots & peas & simmer for another 10 minutes. 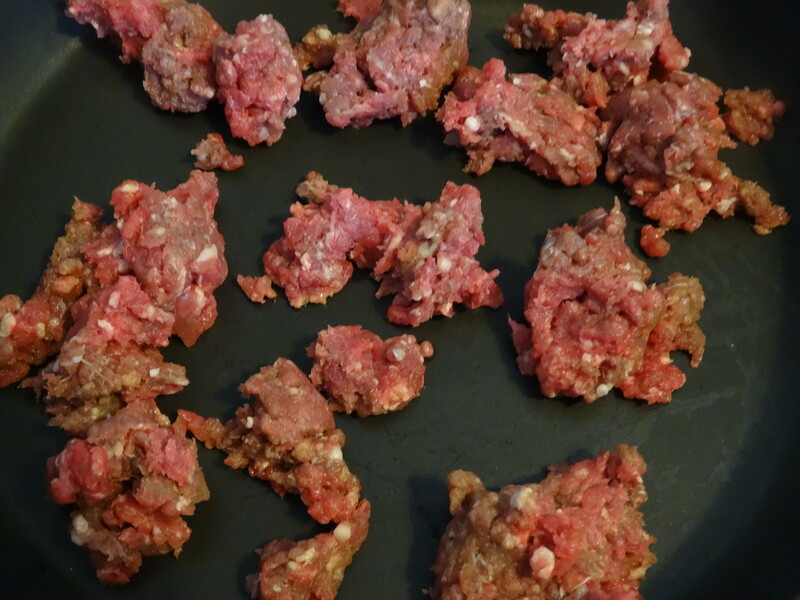 Allow the mince to cool. 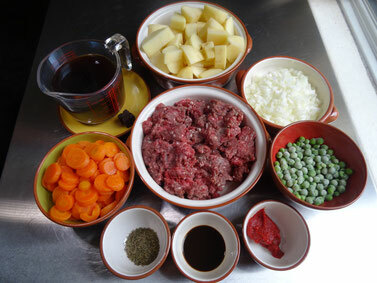 To assemble the pie transfer the mince to an oven proof dish then carefully spoon the mash on top. Spread out with the back of a spoon & make a swirly pattern with a fork if you like! Top with the grated cheese (if using). 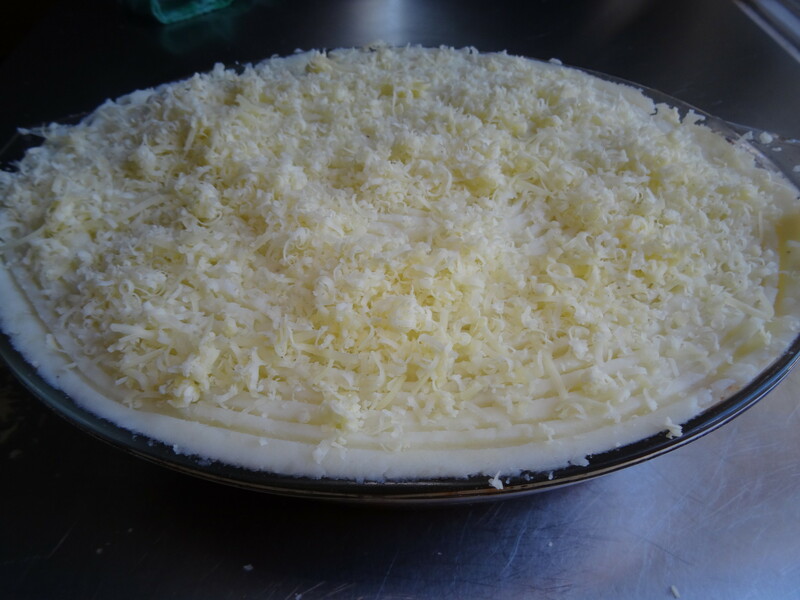 Place in the oven for about 30 minutes until golden & bubbling.